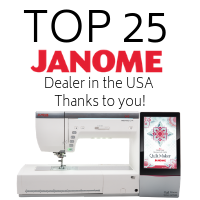 PRE-OWNED JANOME DC5100. STOP IN-STORE OR CALL 207-474-9628 FOR MORE INFORMATION. 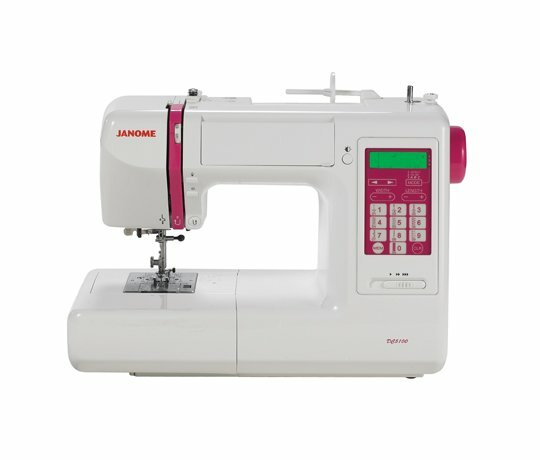 The DC5100 is a stylish yet powerful machine for all of your sewing needs. 67 built-in stitches including an alphabet and 5 one-step buttonholes ensure that you have all the stitches you need for any task. You'll find a wide range of ease of use features including an LCD screen and touchpad for easy navigation and a memorized needle up/down. The DC5100 is equipped for a wide range of sewing applications with drop feed memory capability and automatic thread tension control. The LCD touchscreen with touchpad provides easy navigation when selecting and editing stitches. Easy changeout of feet with our snap on presser feet system. Easy shortcut buttons include Memorized Needle up/down Easy reverse button and Locking stitch button. Hard cover is included to make travel convenient while protecting your machine. Speed Control Slider helps to maintain a comfortable speed especially on curves and difficult areas. 167 stitches including an alphabet and 5 one-step buttonholes provide all the stitches you need!